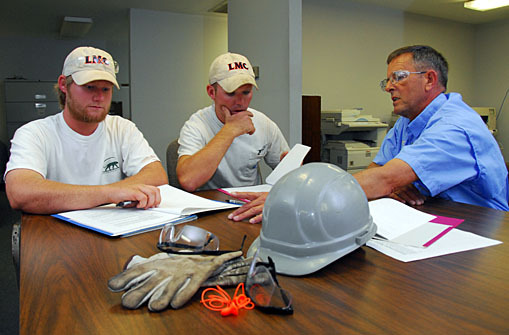 LMC’s corporate safety philosophy provides a guiding vision and general policy by which we conduct business every day. Zero accidents are our goal. Everyone involved in our manufacturing process, from our employees making the equipment to our customers buying it, is aware of LMC’s safety priority. We strive to ensure that our employees adhere to the highest safety standards possible when building your equipment, delivery, and installation. All employees at LMC are required to read through a safety manual and give their signature stating they understand our safety policies and will adhere to them. Other Federal, State, and Local Safety and Health Regulations that may apply.